The repertoire of a barber might have changed over the centuries (they no longer, for instance, offer bloodletting and leeching services, as they did in the Middle Ages), but a couple things have stood the test of time: mainly the haircut part and a profound sense of community. Yes, since the Bronze Age, men have been requesting the talents of a professional groomer, found in an environment conducive checking in, catching up, and being a part of something. 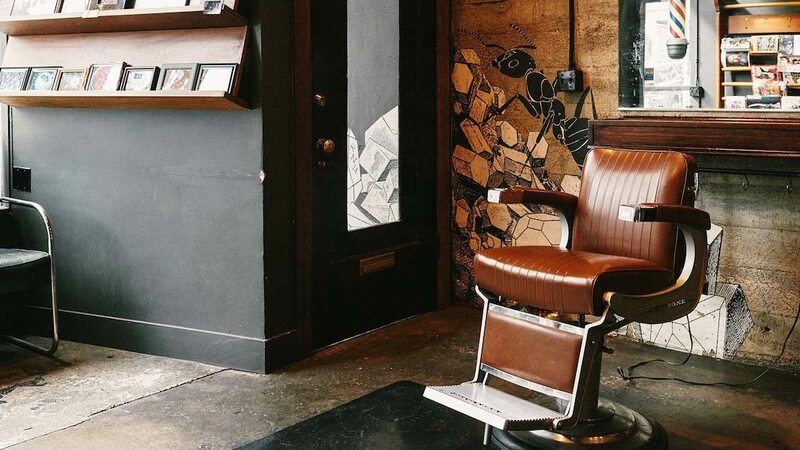 It’s this combination of service and company that has made the barbershop a mainstay in history, though the consumer’s passion for it has waxed and waned throughout the years. 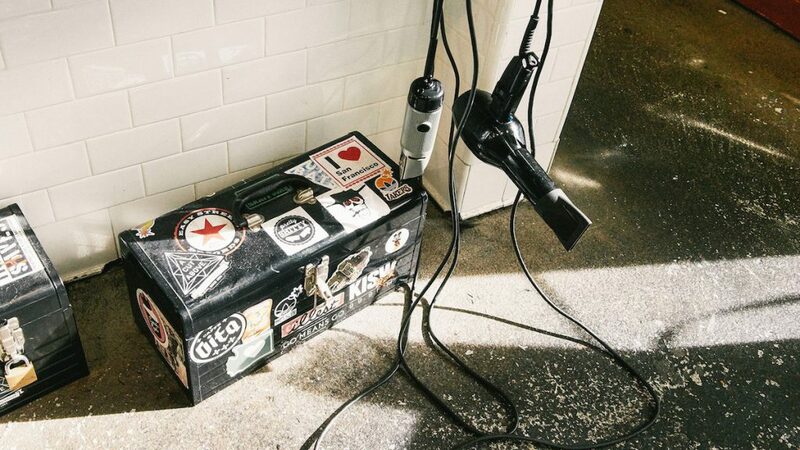 When friends David Petersen, Wade Weigel, and the late Alex Calderwood founded Rudy’s Barbershop in 1993, it had been a long time since the format’s 1950s heydey. Given the aforementioned era’s proclivity to clean shaves and gee-whiz haircuts, barbershops were in high demand for a good long while. But then came the ‘70s, with its long and lawless look (read: no need for trims), followed by the highly stylized, exhaustively hairsprayed ‘80s. Barbershops had been traded in for the sleek and shiny hair salons of a Bret Easton Ellis novel. Rudy’s, however, set out to change all that. Combining the founders; various talents (Calderwood and Weigel had an established knack for both aesthetic and buzz, while Petersen had clocked hours cutting hair himself), Rudy’s was built to be the reliable neighborhood anti-salon. The prices were reasonable, the decor DIY, the appeal unisex. The look was a mix of heritage and irreverence: tattooed stylists, vintage chairs, throwback typography, walls covered with art and pictures torn from magazines. Their first Capitol Hill outfit was an immediate success. The company soon began to open more shops across Seattle, later tapping into the Los Angeles, Portland, and New York City markets. Today, Rudy’s runs some two dozen shops and counting, each one unique to its particular locale. 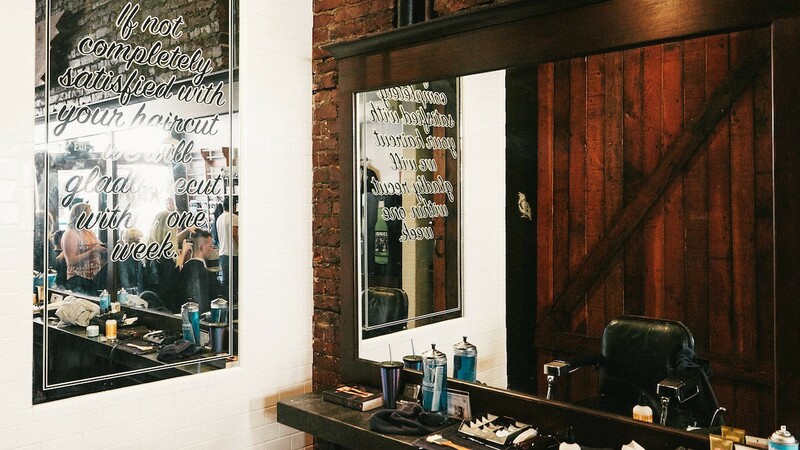 Undoubtedly, in the 23 years since its founding, the grooming landscape has changed. There is more demand for the format and, with said demand, more competitors on the pushing onto scene. Rudy’s, an established presence in the game, continues to grow, expanding both their outfits and their offerings, with a range of products that the company expects to grow in the coming years. 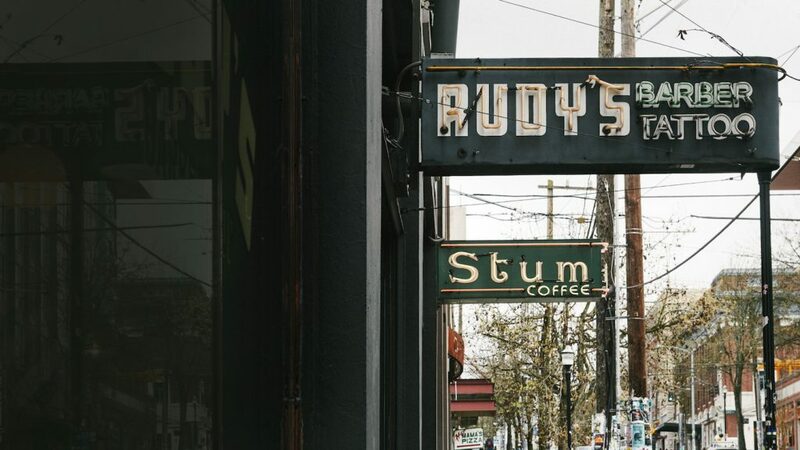 With expansion on the mind of its founders, Rudy’s brought on retail veteran Brendon Lynch two years ago, tasked with helping push them forward into the next era of business. Below, we talk to Lynch about Rudy’s longstanding dedication to community, how it attracts customers, and where he sees the company in the next five years. BOND STREET: How long have you been with Rudy’s? BRENDON LYNCH: I’ve been with Rudy’s for two years next week. BOND STREET: And before that? BRENDON LYNCH: Prior to this, I spent more than twenty years in the retail business with two companies, nearly 18 of which were with Anthropologie as the head of global retail. I started with them when they had two stores and about a $6 million business, and left them when they had 175 stores and just over a $1 billion business. BOND STREET: What’s different in going from a business that had scaled so large to working with a company like Rudy’s that is working to scale? BRENDON LYNCH: That was part of what led me to Rudy’s. Part of what attracted me to it was that my years at Anthropologie where I learned the most and grew the most were those early years, taking it from a really small, unknown brand and building that brand and growing it and bringing it to more communities and more people. With Rudy’s, we’ve been in business for over 23 years, but we still have a relatively small number of shops. A lot of people, particularly outside of Seattle, didn’t really know who we were; there were communities that we weren’t serving yet. To be able to work with a brand that had such deep history and roots and power, and bring that to more places and grow the team and business was a super exciting thought. It’s been everything I’d hoped it would be. BOND STREET: Is there any particular way to navigate entering a company that’s been founded and operated by friends? BRENDON LYNCH: For sure. Between Anthropologie and Rudy’s, I worked for David Yurman as head of global retail. That was the first time I had worked in a founder-based business. I learned a lot there, and that sort of prepared me for working at Rudy’s. But I will say that I’m extremely fortunate. I think everybody knows that founder-based businesses can sometimes be challenging navigating those waters. I’m extremely fortunate because the Rudy’s founders are great people. I think how I approached [coming in as CEO] was to ensure that I established a strong relationship with the founders in the beginning and earned their trust. I wanted them to understand why I joined and that I’m extremely, extremely protective and passionate about staying true to our roots, and keeping Rudy’s Rudy’s as we grow. BOND STREET: Going back to your experience with David Yurman and Anthropologie. Those are both product-based businesses. Was there a learning curve in working with something that was service based? BRENDON LYNCH: There certainly was. We do have product, obviously. It’s a small part of our business but we do have that, which comes natural to me. I look at it as our product is our service. It’s been a really great role for me and a great brand to be a CEO in, because I’d say 70% percent of what I do at Rudy’s is what I’ve always done: it’s about building and maintaining and preserving a very rich culture; it’s about serving the people who work here; it’s about serving our customers; it’s about serving our community; operations; real estate. So much of it is what I do and what I love and what I’m good at. But there’s enough that’s new to it–being in the hair business, being in the men’s grooming business, being a first-time CEO and managing a board–that I’m challenged and I’m learning and I’m growing. BOND STREET: Rudy’s was really early to the barbershop renaissance. As an established presence in that world, what are the biggest challenges facing someone like Rudy’s? BRENDON LYNCH: I think it’s about keeping the brand innovative, fresh, relevant—that we’re finding ways to stay away. To your point, we were very early to this and the founders recognized that this traditional service needed to be reimagined, and they did that in an incredible way. Now there’s a lot of other people in that space with more and more joining. It’s good because it forces us to stay on our toes and make sure we stay ahead. That’s been an exciting challenge for us, and something that we think about and talk about and take action toward every day. BOND STREET: Who would you say your customer is? BRENDON LYNCH: Rudy’s is truly for everybody, and we really do see everybody: all ages, all genders. Certainly, different shops have different mixes of that. I would say the greatest percentage of our customer base is all genders, 20-something to 40-somethings. I think one of the cool things about Rudy’s is that it’s not unusual at all to walk into a shop and look down the line of chairs and see an older dude next to a toddler getting his first haircut next to a punk rock kid refreshing his mohawk next to a woman getting her hair colored and blown out. That’s one of the things I love most about it, and I think what customers love about it, too. We see everybody and we’re happy to see everybody. BOND STREET: Each of the barbershops really has their own distinct look. How do you approach the design of the space according to each location? BRENDON LYNCH: Another way in which I think the unique aspects of the Anthropologie/Urban Outfitters brand aligns with the Rudy’s brand is that we very much want each one of our shops to be unique from the others, and to be responsive and reflective to the architecture of the space, to the customer that we’ll be serving, and to the community in which it will reside. Every shop you go to, you know you’re in a Rudy’s, but it’s always just a little bit different from the other one’s you’ve been into. BOND STREET: Rudy’s has done a lot of collaborations with charities, artists, etc. How does the company stay involved with the local communities? BRENDON LYNCH: In all the markets we’re in, we’re a neighborhood barbershop. We want to make sure that the community can count on us, not only for great haircuts and superior products, but for us to be part of the neighborhood and part of the community. And that happens at the shop level in a really big way. Every shop has the opportunity and the responsibility to get involved and stay involved, to find ways to make that community better and give back and truly become part of it. BOND STREET: With a number of stores under the Rudy’s name, how important is it to have managers you trust in each location? BRENDON LYNCH: Hugely important. Attracting people, developing people, nurturing people, keeping people: these are our number one priorities and number one passions, hands down. For those of us that work at HQ and the managers that work in the shops, our job is to serve the people that work here. If we serve them well and take care of them, they are going to do that for our customers and our communities. I know that the only way we’re going to stay Rudy’s and grow Rudy’s successfully is absolutely through our people. BOND STREET: Are there any particular ways in which you’ll cultivate that culture? BRENDON LYNCH: It definitely happens through the people who work here and the people we hire–people who understand and are Rudy’s. They’re passionate about and committed to the things we value most: our people, our customers, our community, our quality. Without that, the culture can’t exist. Beyond that, we spend a lot of time in the shops. All of us at HQ have a lot that keeps us busy, but it’s extremely important that we’re in the shops face-to-face with the people who work here and our customers and our community. That’s where it happens, that’s where the answers are, where we find the best ideas and find the ways for us to be better. BOND STREET: Do you find that the customers get attached to a particular stylist or is it more that they know they’ll go to Rudy’s and they’ll get the cut that they want from whoever they want? BRENDON LYNCH: We have both. But the majority of our customers are actually happy to see anybody. 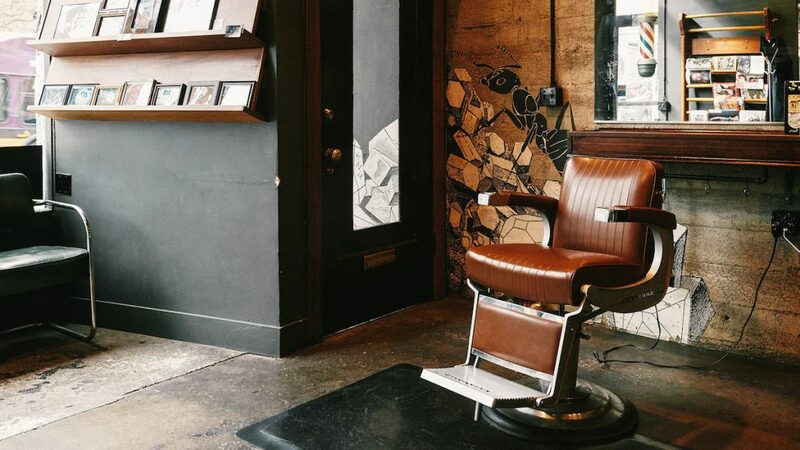 Part of the goal is that we want to make sure the customer feels comfortable and confident that they can come in and have a great experience—from the haircut and beyond—with whoever they sit down with. Having said that, we certainly do have a decent percentage of customers that has their guy or their gal. Overall, I think we strive to ensure that our customers and our communities have a relationship not with the people they’re working with but also the brand. BOND STREET: What’s your most effective form of marketing–is it word of mouth, is it social media? BRENDON LYNCH: It’s definitely the relationship that our people have with our customers and communities. To your point, it’s word of mouth. That’s the most powerful form of marketing for us. We recently brought on a director of marketing for the first time in 23 years of business. We’re so excited to have him here and he’s integral to Rudy’s. On the one hand, it’s incredible that we built a brand that’s successful and connects in that really emotional way to our customers without any kind of significant or sophisticated marketing efforts. It’s truly been the experience that people have had and that word of mouth. Now that we have somebody leading that marketing effort, we can continue what we’ve done so well, but now we can layer in the work that needs to be done in other ways, particularly as we execute markets. BOND STREET: Are there new markets in particular that you are eyeing? BRENDON LYNCH: We are, yeah. Part of our shop strategy is to further penetrate the existing markets. We’re opening new shops in the Washington market, we’re opening new shops in Portland, in Southern California. We’re looking to open more in New York. We’ll be opening our first two shops in Nashville. One in November, and the other probably in February. That’s a new market for us, and one we’re really excited about. I think it’s a market that’s meant for us and we’re meant for it. The other market that we’ll be entering the first quarter of next year is Atlanta. I think there’s a great customer there that’s underserved, and a community that I think is going to be a really nice fit both ways. We’re looking at some others as well so you’ll see us in a lot of markets in the near future, but those are markets that we’ll be active in right at this point. BOND STREET: How are you approaching financing as you expand? BRENDON LYNCH: There was an investment made in Rudy’s in the spring of 2014, so that gave us the capital to grow the business and put in place a lot of infrastructure over the last two years as it relates to people and process and technology. From this point, we’ll manage additional growth, which is significant, through cash-flow. BOND STREET: Where do you hope to see Rudy’s in five years? BRENDON LYNCH: The two areas in which we’re growing the business most significantly, is certainly in shops. We’re opening more shops and we’ll continue to do so over the next five years. Again, I’m excited to see Rudy’s serving more customers, more communities, more markets. And we’re also focusing on our product business. We have our product assortment–shampoo, conditioner, body wash—which we’re beginning the expansion of that assortment. To bring Rudy’s to even more places than with just shops. Where I want to see us in five years and where I think we will see us in five years—for me the most exciting part about growth is the opportunity it provides for people who work here and the people who don’t work here yet. 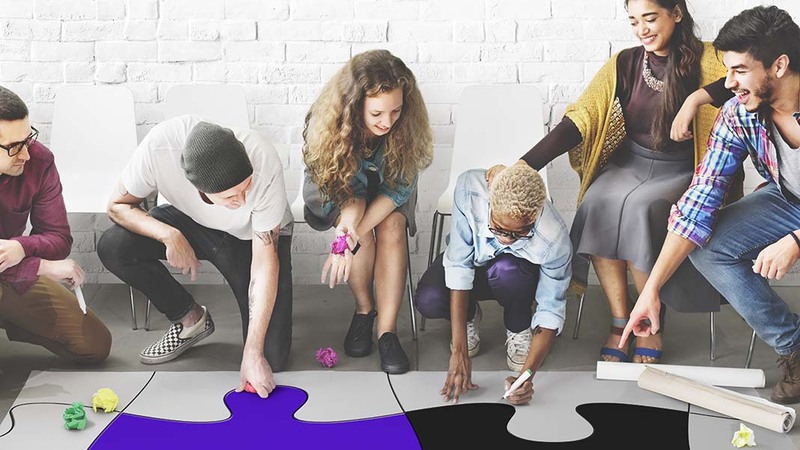 As we grow, we’re going to need to hire more people, and, most importantly, as we grow, we’re going to need to develop people and move people up to help us see through this growth. That opportunity and that realization is what drives me every day. Good to Great by Jim Collins. Its lessons in leadership, team building, and discipline still motivate me. That’s like picking a favorite child… I can’t! I love all of our shops because they are all unique–from the people that work there, the customers they serve, the communities they reside in, and the local design touches of each shop. We think it’s time for the Macklemore cut to grow up, and time to bring back the longer grunge look of Kurt Cobain. They’re just around the corner from our headquarters and our team can’t stay away. The shop is beautifully designed and they curate amazing products from across the globe. Well, we have the same founders. The Ace has also done a great job designing a hangout that feels like your coolest friend’s living room. They are focused on doing one thing and doing it extremely well. The stores are a great spot to hang out after work and their ginger beers are delicious. Independent businesses are responsible for so much creativity, innovation, and entrepreneurship. Without them, we would live in a world of cookie-cutter brands and products.